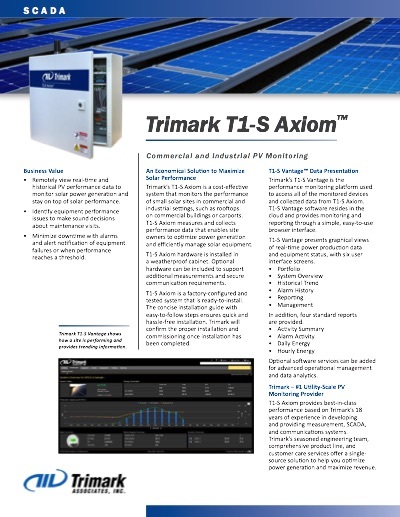 Trimark Axiom is a cost-effective system that monitors the performance of small solar sites in commercial and industrial settings. 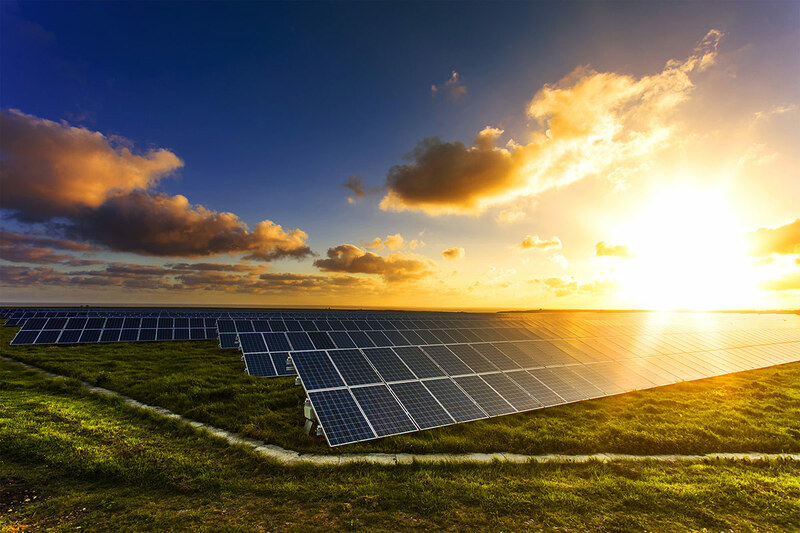 Axiom measures and collects performance data that enables site owners to optimize power generation and efficiently manage solar equipment. Trimark Vantage™ is the performance monitoring platform used to access all of the monitored devices and collected data from Axiom. Vantage software resides in the cloud and provides monitoring and reporting through a simple, easy-to-use browser interface. If you are interested in Portfolio Consolidation, Trimark’s Axiom is a platform of choice. No matter what data collection devices you have at your sites, Trimark can implement your entire portfolio on a single platform: Vantage. 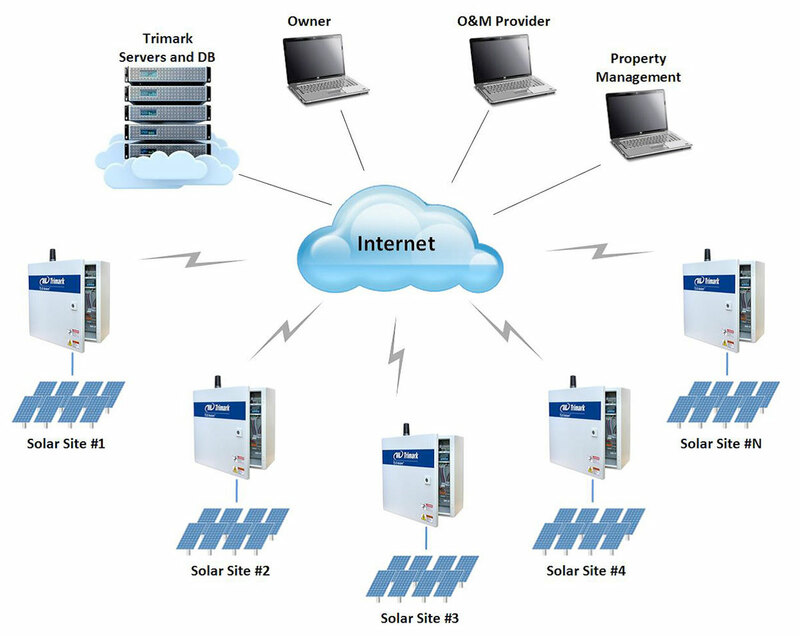 Axiom provides key information to remotely monitor the performance of one or multiple sites. In addition, typically four reports are provided. 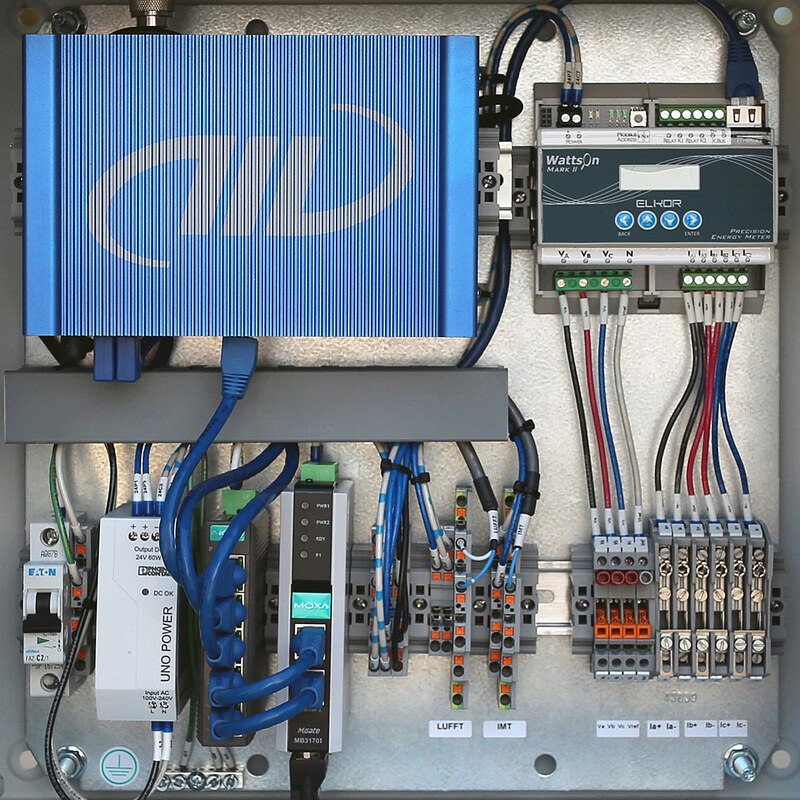 Axiom is factory-configured and delivered to a site for hassle-free installation by an EPC. Trimark works with the EPC to commission the Data Acquisition System (DAS) and set up the Vantage screens. Axiom and AxiomX hardware is assembled into a weatherproof cabinet for installation by an EPC. Meter – Precise power production values can be captured by adding a meter. 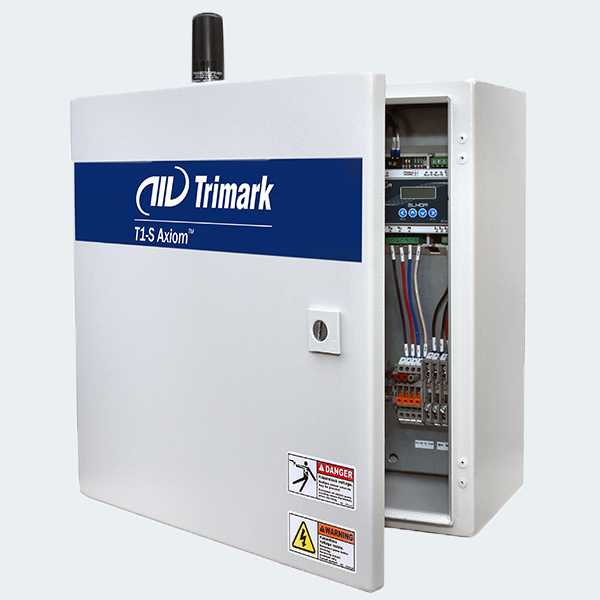 Trimark designed and installed a data monitoring system for 380 residential solar installations on Edwards AFB. Onyx Renewables installed the solar systems on the homes at Edwards for the housing management company, Corvias Military Housing. Trimark installed radios at each residence and installed additional radios in each neighborhood to gather and relay generation data to the Trimark SCADA system in the Community Center. 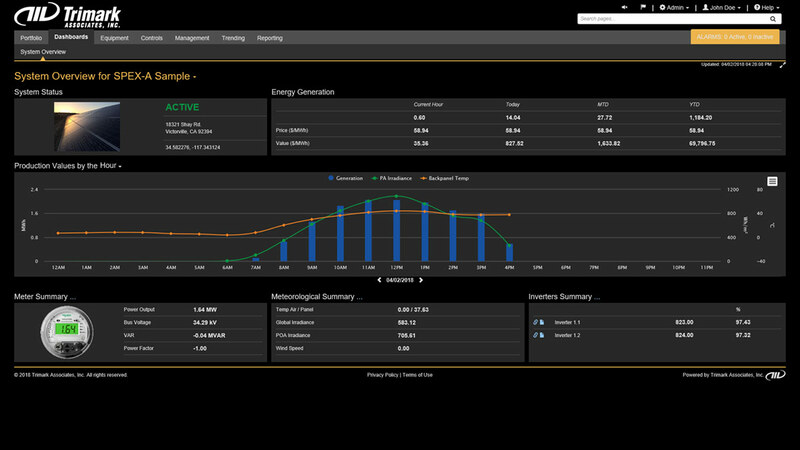 Trimark also brought in generation data from a 1 MW PV site previously constructed on the site. Trimark is reporting the total generation and other real time telemetry data to Southern California Edison (SCE). Over several projects, Trimark has always gone above and beyond their typical scope of work and provide an experience that is unmatched. They truly are a pleasure to work with from start to finish. Donny Kiehn, Electrical Superintendent, Blattner Energy, Inc.